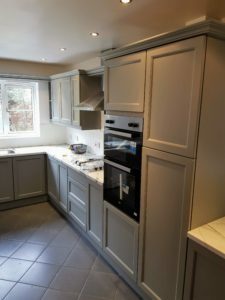 This kitchen has undergone quite the transformation, not just the kitchen cabinets but the homeowner Jane, has invested a lot of money in modernising it. The worktops have been changed which massively compliments the floor tiles and also the newly sprayed kitchen cabinets. One of the things Jane liked about us is that we arranged a home visit and the others asked for images to quote, we also ask for images but insist on a home visit. 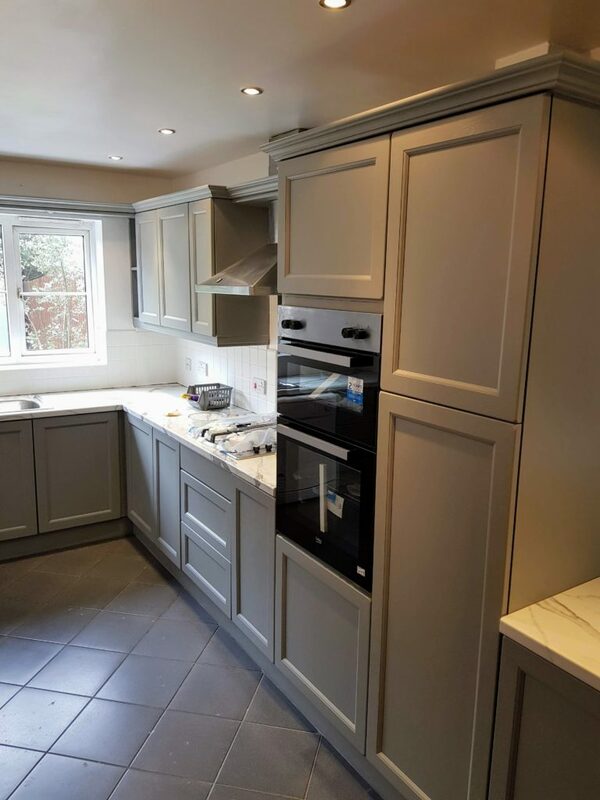 You can clearly see the massive change this kitchen has gone through & it looks amazing. Jane had an vision of how she wanted her kitchen to look and we simply helped achieve it. We hope Jane and her family enjoy it for many years to come. 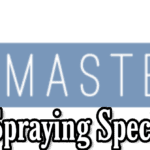 Kitchen Resprays are getting increasingly popular with the homeowner as it’s a great way to modernise your kitchen. 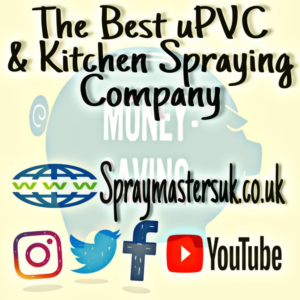 Remember that Kitchen Spraying like uPVC Window spraying is the “cost-Effective Alternative” to replacing for new. The Cheaper Solution. 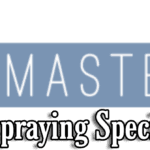 If You Would like a quote to have your Kitchen Sprayed and live within Derbyshire and Nottinghamshire then fell free to give us a call. You can also fill in the online contact form. 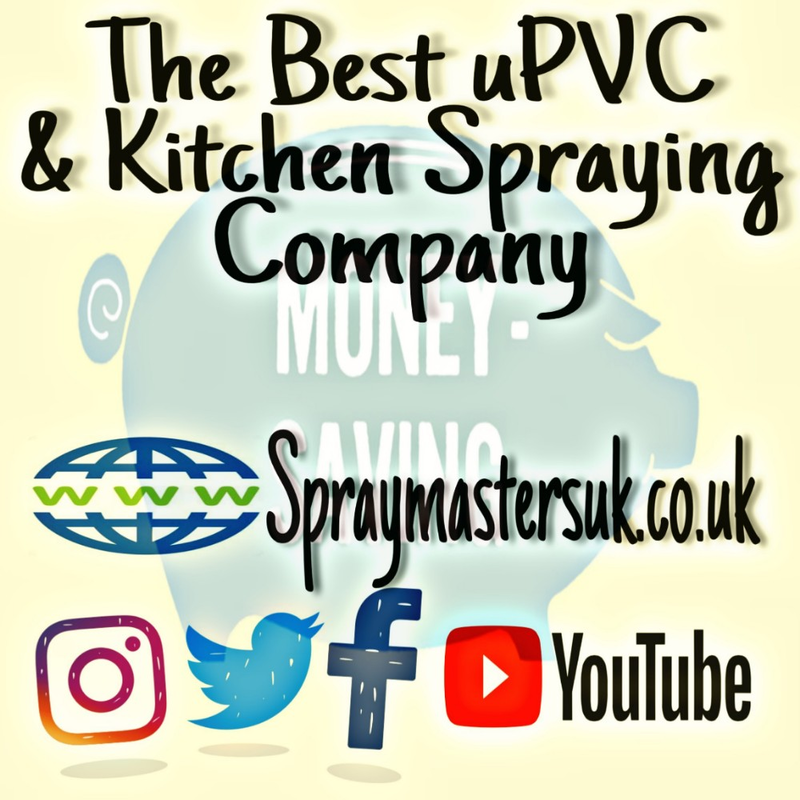 The majority of our Kitchen & uPVC Window Spraying jobs are via word of mouth, often it’s a friend of a customer. We are the small family business that deliver massive quality. 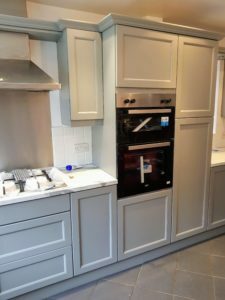 Please take a look at our other case studies on Kitchen makeovers, hit the case study section at the main menu bar.